If So, What? is a new immersive event celebrating art, design, music, and innovation. 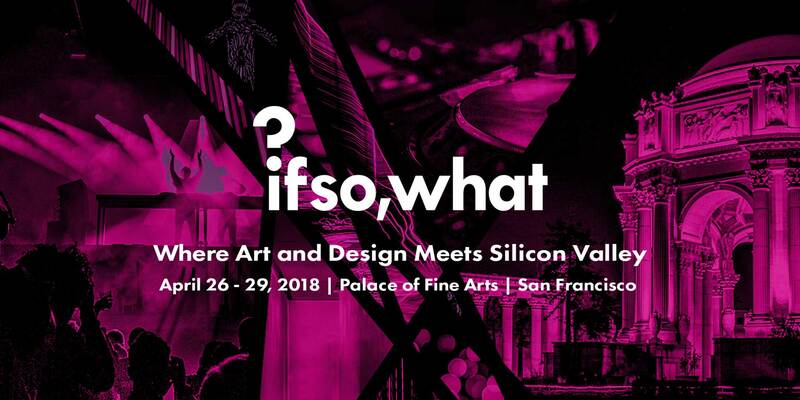 Taking place April 26–29, 2018 at the Palace of Fine Arts in San Francisco, If So, What? will feature showrooms by an international roster of curators, exhibitions by galleries from around the world, and artists working in the field of digital media. Visitors will also be invited to attend music performances and a series of multi-disciplinary panel discussions with visionary speakers. Inspired by the creative communities in the Bay Area and internationally, the event will invite visitors to experience art and design in a new way.